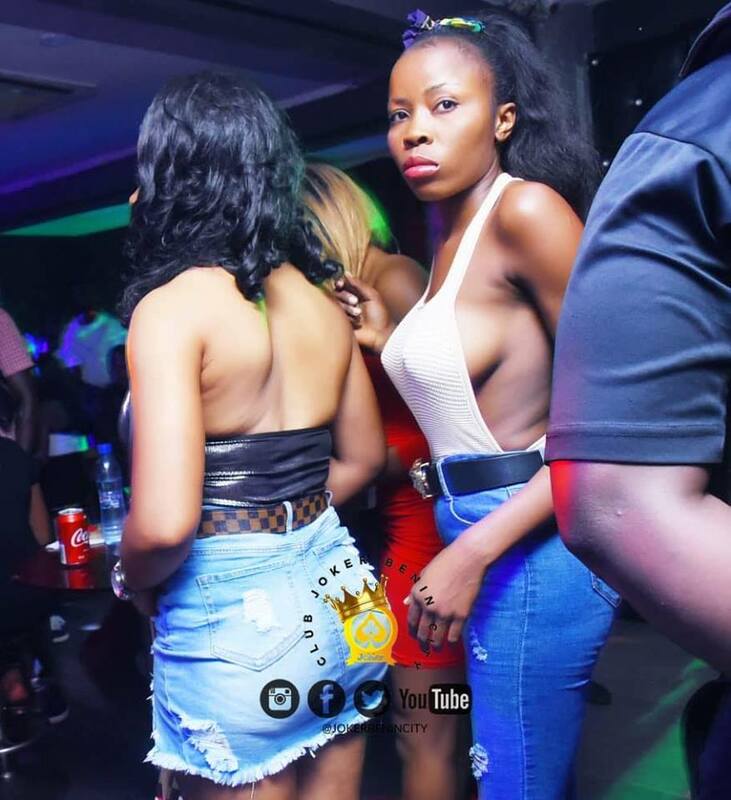 Some ladies were ensured they were the centre of attraction at a nightclub in Benin city, Edo state after rocking a revealing outfit to a party. While some of the ladies flashed their B00bs in revealing clothes, one proudly showed off her backside while Tw@rking as other partygoers paused their dancing to entertain their eyes. Here are some pictures showing how it went down at the nightclub.